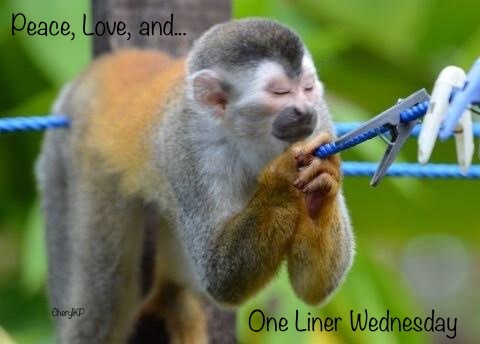 One-Liner Wednesday – Who? Who, who, who, who? 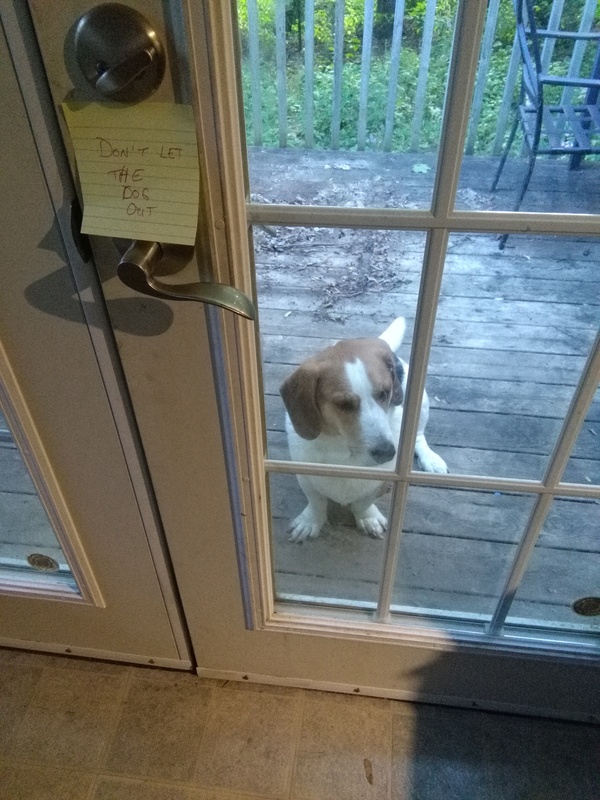 Backstory: the dog escaped the back yard and my son didn’t know because he was sleeping, so before I went out, I put a note on the door to warn him not to let the dog out back. When I got home, I put the gate up on the deck–the only place safe for Winston to go out. I couldn’t resist taking the picture, just so I could write the title of this post. Categories: Blogging, Blogs, Funny, Life, One-Liner Wednesday, Prompt | Tags: #1linerWeds, family, fun, Humor, inspiration, support, WordPress, writing prompt | Permalink. Terrible exploitation of animals for art, I’m outraged on Winston’s behalf. He says he appreciates the thought, but that he possesses the self-realization that he’s a whore for exploitation in exchange for treats. He brings it on himself. Awww such a cute puppy! Notes for the win! 😀 Thanks, Barbara! This is the best pic ever!! Pingback: One-Liner Wednesday: Nookie to the Rescue! | Anything is Possible! Nice photo of that note and the dog. Aw, Winston looks so cute, and slightly guilty, or is it happy someone else will take the blame? Haha! Likely the latter. 🙂 Thanks, Shelley! That’s hilarious – I love Winston’s expression. Thanks for the smile, Linda. He’s a very expressive dog. 🙂 Thanks, Dan! Peas leeet me in ! !